Periodical of the Institute of Eastern Christian Studies in Nijmegen, in collaboration with the Louvain Centre for Eastern and Oriental Christianity and the Institute of Early Christian and Byzantine Studies at the Catholic University of Leuven. 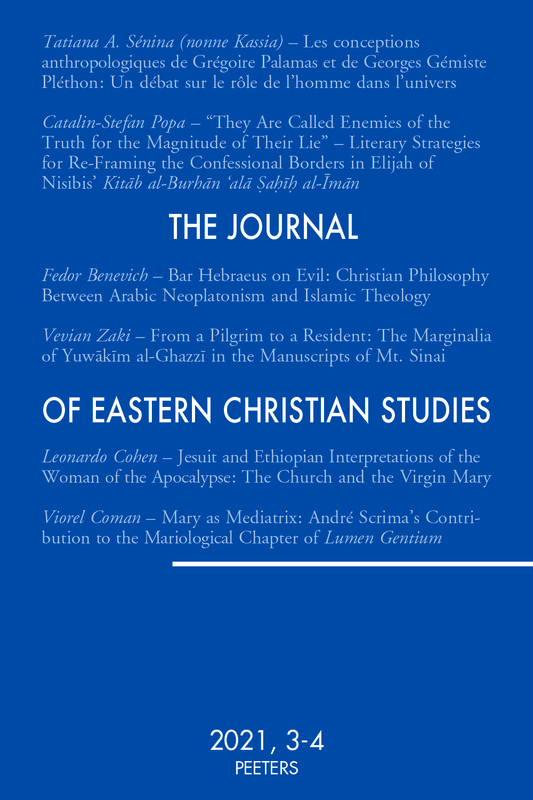 The Journal of Eastern Christian Studies (JEastCS) is a peer-reviewed journal which publishes original research on the traditions and present-day situation of Eastern and Oriental Christian communities in the Middle East, Central and Eastern Europe, and the Balkans, as well as in other places where Eastern and Oriental Christians have lived and came to live in past and present. The Journal of Eastern Christian Studies is abstracted and indexed in ATLA Religion Database; Index Theologicus; Elenchus Bibliographicus (Ephemerides Theologicae Lovanienses); International Bibliography of Periodical Literature on the Humanities and Social Sciences / IBZ online; ERIH PLUS (European Reference Index for the Humanities and Social Sciences); CrossRef. The Journal of Eastern Christian Studies is a peer-reviewed journal. The Journal of Eastern Christian Studies publishes a Supplement series of books. The aim of this series is to provide an opportunity for publication of more substantial works of monograph length and collective works on particular themes.